Not all standing desks can rise above the competition without jacking up their price, but the Autonomous SmartDesk 2 – Business Edition does so in a couple of ways. This standing desk offers one of the fastest yet most quiet lifting mechanisms on the market and an impressive adjustable range, especially at the low end. It also matches many of the most expensive standing desks in terms of lifting capacity, memory controller, and other features. It also has a few drawbacks with some people mentioning the lack of cable management and customer service concerns being the biggest factors. All in all, it seems like a pretty decent desk and worth investigating a little further. Articles you may like: we have researched and classified our list of the best standing desks, also the cheapest standing desks on the market, and if you’re not really sure what to buy, maybe take a look at the standing desk buyer’s guide. Customization is always a welcome feature. With the SmartDesk 2 – Business Edition, you can choose between two sizes: the 53” x 30” Classic and the 70” x 30” XL Classic. The former works well for any standard setup while the latter is ideal for people who have bigger monitors or simply more items to place on the desk. Likewise, there are five materials for the surface: black, bamboo, walnut, white, and white oak. The frame comes in white, black, or grey. There’s no option for more vibrant colors, but these alone are enough for anyone looking for an adjustable standing desk with a professional look. Plus, neutral tones are easier to match with other items in a room. We like the fact that there are 2 desktop size options, but if you aren’t sure if either of those work for you and the ability to adjust to many different sizes is something you value, then take a look at the Jarvis by Fully which has one of the most extensive range of desktop shapes and sizes. Getting the SmartDesk 2 – Business Edition working upon arrival is no problem. The package includes all the screws and parts you need. In case you do need some assistance apart from the instruction manual, you can make use of the assembly video as well. A quick tip: Get an electric drill to get all the screws in place faster. If you can’t be bothered with screws, we really recommend the iMovR Lander. The Lander is the first desk that we have seen with absolutely tool-less assembly, it’s really quite amazing! Take a look at this video which shows just how easy assembly is with the SmartDesk 2. People use standing desks for a variety of reasons, which means there’s a need for more space. 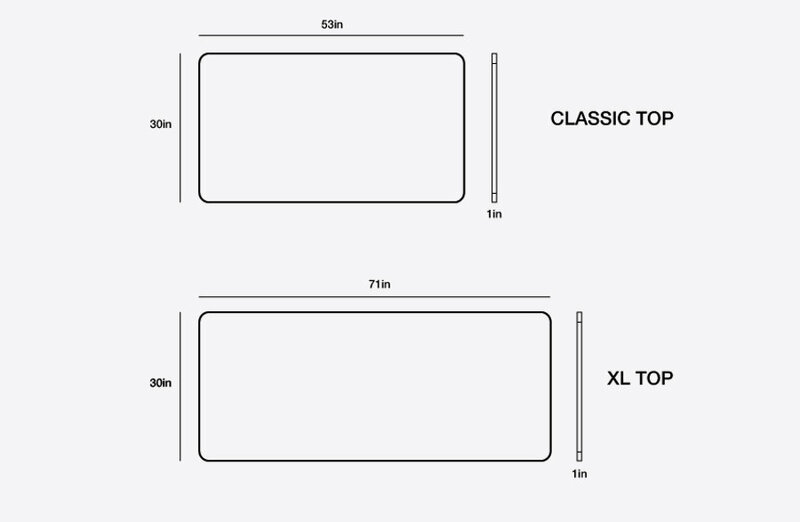 Video gamers will appreciate the aforementioned XL Classic size option. To put this in perspective, you can comfortably place two or even three monitors side-by-side (make sure you’re using an ergonomic monitor arm to do so). Given the weight capacity of 300 lbs, which is near the middle of the range for an electric standing desk, there shouldn’t be any trouble with overloading the frame and certainly no issues for the motors if you keep below this weight. Weight capacity is often one of the main factors that people choose their desks on, and is very subjective. 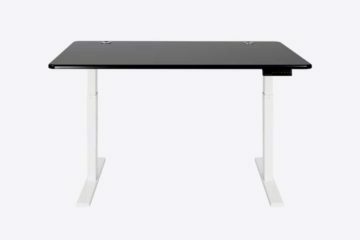 Some desks such as the FlexiSpot E1 only has a capacity of 154 lbs but has the benefit of being one of the cheapest electric standing desks available. On the other end of the spectrum you have the StandDesk Pro which can hold up to 400 lbs, which to some may seem excessive, but to many, it’s exactly what they need. The neutral tones of the Autonomous SmartDesk 2 – Business Edition complement its minimalist approach. Rounded corners of the desktop, several aligned buttons underneath the desk, a pair of adjustable legs with supportive bases, and a rectangular desk surface are all you’ll find here. It’s as simple-looking as a standing desk could be, which is a good thing in this case. The clean appearance would fit well in a spacious office at home or at work. Plus, with those rounded edges, you can comfortably rest your arms on the edge of the desk. Perhaps the biggest selling point of this model is its price, an amazing standing desk under $400. The Mount-It Electric Sit-Stand Desk is cheaper but that doesn’t include the tabletop – it’s the price of a frame only. 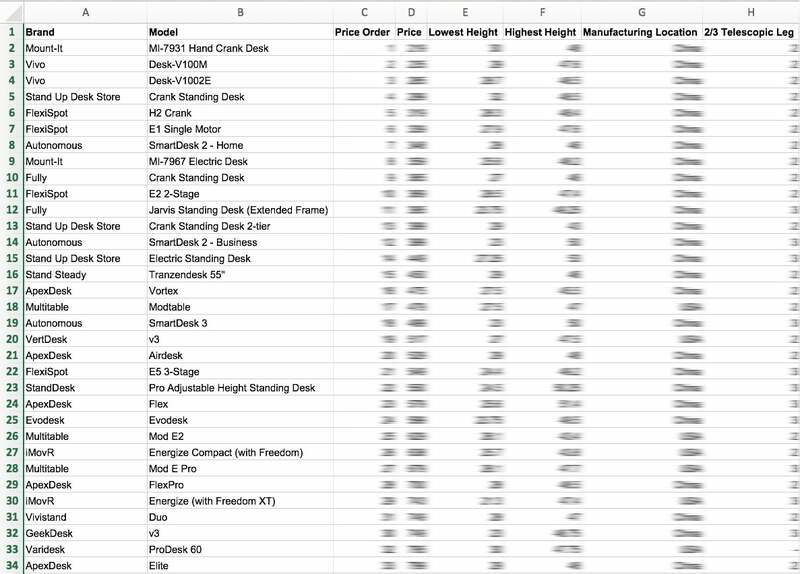 Likewise, the Jarvis Crank-Powered Standing Desk starts at a slightly lower price, but it’s not an electric model. Even the larger version of the Autonomous SmartDesk 2 – Business Edition goes for less than $500. Combine this relatively cheap price with promos for bulk orders and you begin to understand why Autonomous has served over 120,000 businesses. And it doesn’t skimp on its technical aspects at all. 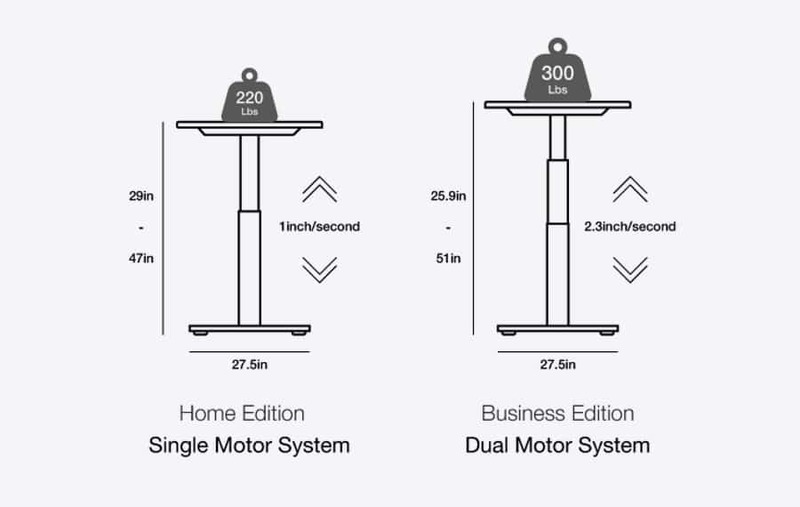 You’ve got a 300-pound total capacity we mentioned before, pre-programmed height options (4 programmable heights on the controller which comes with the desk – no additional spend), a dual-motor electric lifting mechanism, and a lifting speed of 2.3 inches per second — the fastest rate among all standing desks we’ve covered so far. 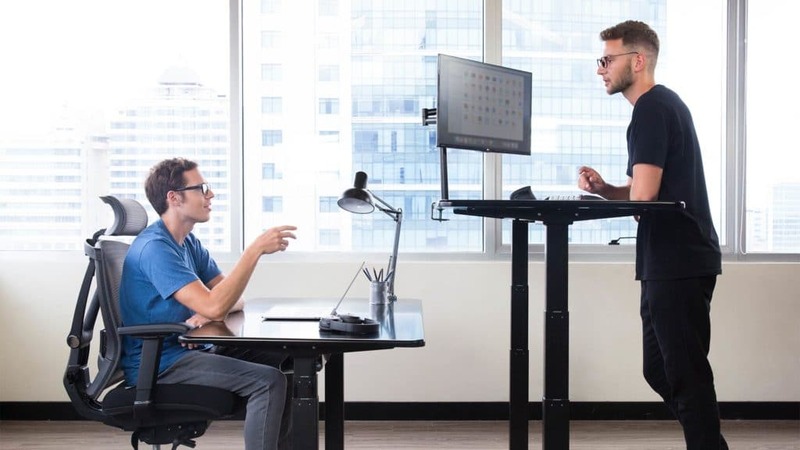 Note that more expensive standing desks like the Uplift 4-Leg Desk and the Stand Steady AirLift S3 move at just the usual speed of 1.5 inches per second. The SmartDesk 2 – Business Edition moves faster without being noisy, operating at just 39dB. 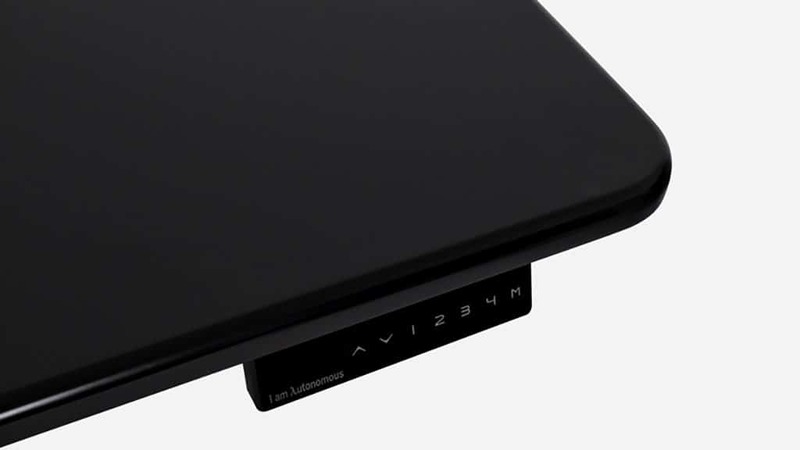 We love the fact that the 4-button memory controller comes included in the price and not as an add-on as with other desks. The variety of options for the surface of the Autonomous SmartDesk 2 – Business Edition is a nice touch, but it seems that it’s more about appearance than function. For a good number of users, they found the surface to be below par. I guess it makes sense that a desk under $400 is probably going to be using cheaper laminate and MDF desktops, so you’re unlikely to have the quality and durability of a beautiful bamboo finish like an Evodesk, but if that is what you were expecting then we want to give you a heads up. The most common complaint is with scratching of the surface, that it becomes noticeable quite quickly. Using a laptop and having other items on the desk will expose it to surface scratches which deteriorate the overall aesthetic of the desk. A few minor complaints arose around the customer support offered by Autonomous. This is not something I would personally be too concerned about because the customer support does exist, there have just been reports of it being slow. At times it may be hard to get in touch and get a response, and while this isn’t what you’d expect from a company I don’t see it being a deal-breaker for the desk. Setting the desk at its maximum height makes it more vulnerable to shaking. We notice this on many of the larger desks, and given the fantastic 50-inch maximum height setting of the SmartDesk 2 it, unfortunately, has been added to the list. Some users note that at maximum height there is some minor shaking and lateral movement in the frame. In terms of maximum stability, users overall have been happier with the more expensive options such as the Updesk Pro. A standing workstation will usually support a variety of electronic devices — and this means a lot of wires and cables. Sadly, the Standing Desk 2 Business Editon has no built-in cable tray, nor do they have grommet holes in the desktop. I personally don’t use cable management and have been ok with lining up my cables along the wall behind the desk, but if you are in a shared office it may be best to have better cable management for health and safety reasons. They do provide clips with adhesive to hold the cables as a substitute but compared to grommet holes and cable trays it is really not as good. Most users have commended the Autonomous desk on its aesthetics and minimalist design. 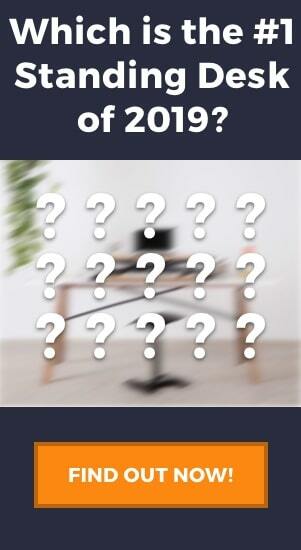 Is the Autonomous SmartDesk 2 – Business Edition for You? This is a model that will appeal to people who want to try using a standing desk for the first time, and especially for those on a tight budget. From its neutral colors to its minimalist design, the Autonomous SmartDesk 2 has all the characteristics you’d hope for in a standing desk, and I personally love the fact it has a simple setup and basic, minimalist design. There are certain inconveniences like the surface scratches and the lack of a cable tray, but it doesn’t really affect the overall functionality and the ergonomics of this desk. After all, you can reduce the likelihood of scratches if you are extra careful, and for cable management, there’s nothing a few zip ties can’t fix. Overall, the Autonomous SmartDesk 2 – Business Edition is an intriguing standing desk. 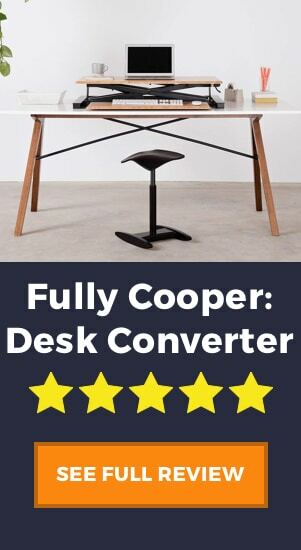 It’s an entry-level model yet it has the speed and professional-looking aesthetic of desks that are far more expensive, and despite a few small issues it seems to be well liked but almost all of its users.